Sig 320 Sub Compact 9mm Pistol With 3.6" Barrel, Tactical Accessory Rail Polymer Frame, 2-12 Round Sig Factory Magazines & Holster 320SCR-9-BSS. 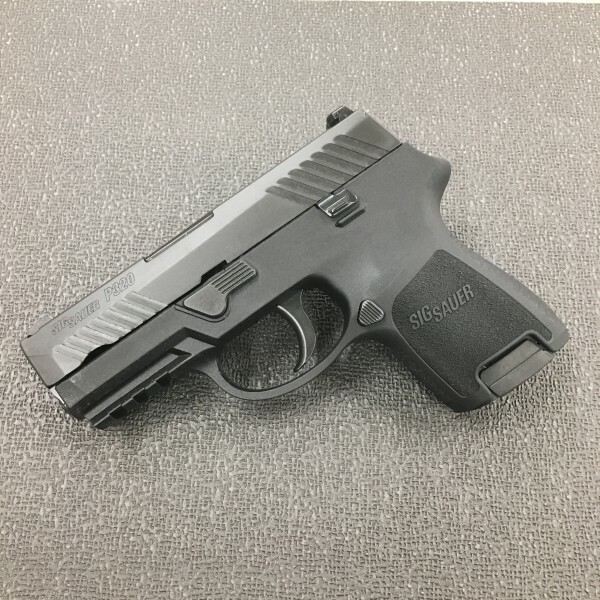 This is the newest subcompact offering from Sig, the Sig 320 9mm Pistol with tactical accessory rail. This model features a black polymer frame with tactical accessory rail and 2 high capacity magazines. 60 Day Lay A Way Available On All Sig Pistols.